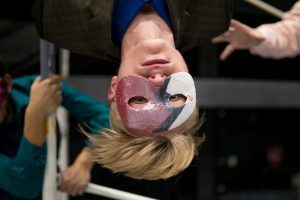 Keeping up with classwork while rehearsing Shakespearean roles could be a daunting task, but Eastern Mennonite University students are up for the challenge. 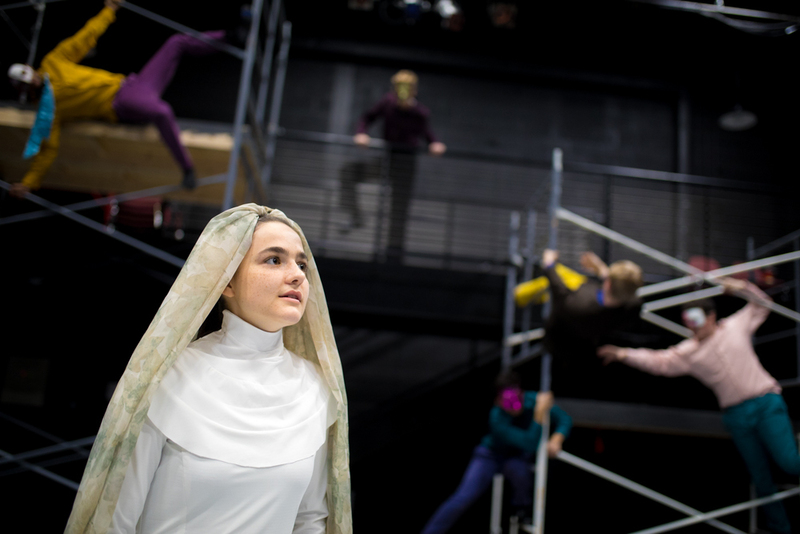 The cast of EMU’s fall production, “Measure for Measure,” rehearses with enthusiasm and dedication – a trademark of the university’s actors, says Professor Justin Poole, theater program director. Watch scenes from the play on WHSV TV-3. Due to the subject matter, some material may not be appropriate for children under the age of 12. “Measure for Measure” is set in Vienna where Duke Vincentio temporarily steps down from rule. As the moral depravity of his subjects reaches a breaking point, the Duke gives the seemingly virtuous Angelo control of the kingdom. Isabella, a woman pledged to the church, finds herself in a morally compromising situation that could have come out of the #MeToo headlines. Shakespeare’s relevant tragicomedy comes to life in a fast-paced and music-filled production. Highflying stunts from Yoel Bobadilla, who plays both Claudio and Chorus. 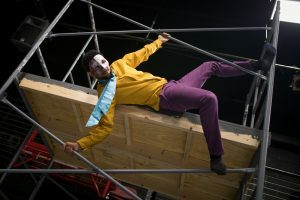 To learn and understand Shakespeare’s words, the actors’ preparations have included studies with No-Fear Shakespeare, which provides a modern English translation. Poole collaborates with his actors on their character interpretations. Freshman music major Isaac Longacre appreciates that flexibility. 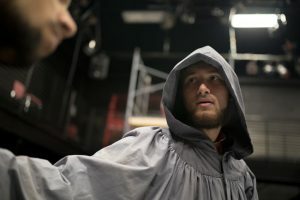 Andrew Stoltzfus (Duke Vincentio) is acting in his first Shakespeare play. The adaptation also includes setting the play in the late 19th century. Jay Sheppard has three roles in the production. Performing in the studio theater gives a greater intimacy between actors and audiences, Poole said. His staging allows the actors to weave in and out of the audience. Poole refers to “Measure for Measure” as Shakespeare’s morality play about the dangers of lust. The performance is sponsored by Everence. For tickets, visit the box office in the lower level of the University Commons or call 540-432-458, Monday-Friday, 10:30 a.m. – 2:30 p.m.